All the Highlights from 2014 Apple Keynote! Considering a good half day has passed since Apple released its bigger and bolder iPhone 6 and iPhone 6 Plus and its first ever Apple Watch, we hope that you too know at least a little about yesterday’s saga. If you have missed on the details and highs and lows of yesterday’s event, here is an Apple Keynote roundup to help you get the gist of the event and its highlights. At the end of this post, you will see a streaming video that, if you are interested, will help you catch up with yesterday’s event live from Apple. Keynote streaming yesterday was filled with lags here and there. While the live streaming was only open to the lucky many of us who owned a “Safari”, it too was filled with gaps and typical technical glitches. For the most part, live streaming kept repeating the first few minutes making it quite worthless, if we can be harshly honest. You, however, are a lucky person as we have presented to you a very concise glimpse of what Apple’s 2014 keynote was all about. So here we go with a thorough Apple Keynote roundup! 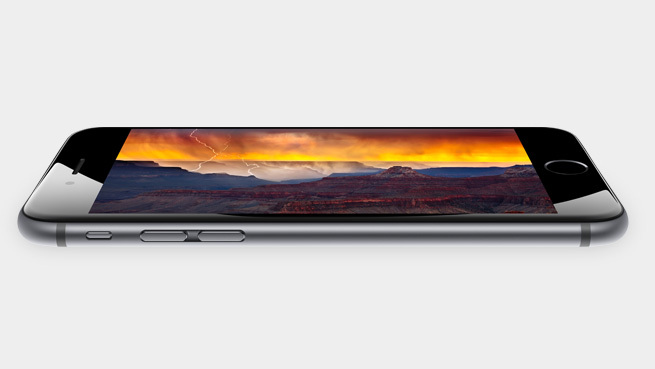 First, let’s start with the bigger and bolder side of the event with this brand new iPhone 6 Plus. While the rumors in past many months indicated that we will see a separate launch event for this 5.5-inch iPhone 6 Plus, Cupertino surprised many geeks yesterday with a single, awesome launch of all of its biggie goodies. iPhone 6 Plus, unlike what rumors hinted, doesn’t have that lovable rugged Sapphire glass but comes with the next-generation Retina HD display. The smartphone is all the same like the Apple’s base iPhone 6 variant, however, a few things have been made better in the Plus model. On the camera side, iPhone 6 Plus has an optical image stabilization module making the smartphone first ever device from Apple to carry an OIS module. iPhone 6 Plus is powered by an 84x faster second-generation A8 processor with a Motion M8 co-processor. The processing chip is manufactured on a 20nm technology making it smaller and packed with double the amount of transistors when compared with first gen A7 found in iPhone 5s. 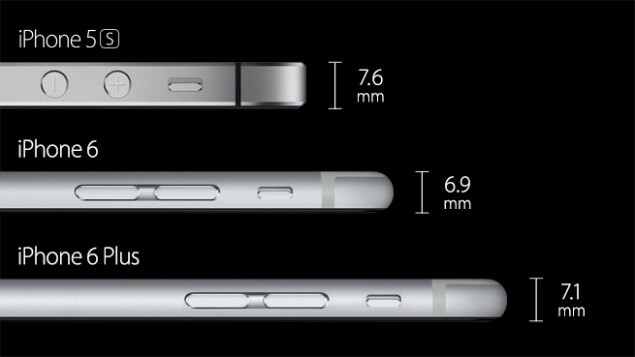 5.5-inch iPhone 6 Plus, while being the largest from the company yet, measures only 7.1mm thick which is even slimmer than iPhone 5s coming at 7.6mm. The smartphone offers increased screen real estate and takes advantage of that using a horizontal mode. Apps will be automatically upscaled to the larger smartphone size without compromising on the image quality. Apple plans to start selling iPhone 6 Plus from September 19th at the base price of $299 for the 16GB variant. Device will be available in all three traditional iPhone colors. 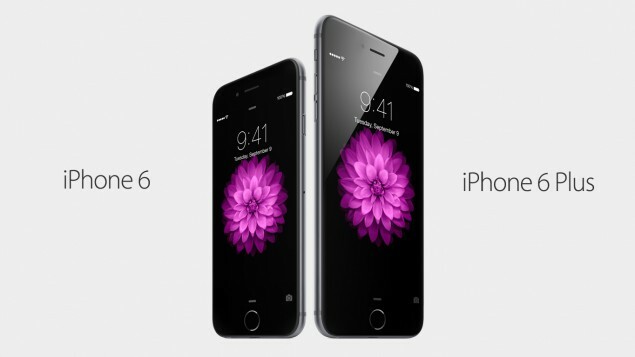 iPhone 6 is everything iPhone 6 Plus sans the Plus as it is the smaller of the two devices. 4.7-inch iPhone 6 has already seen Samsung’s metallic Galaxy Alpha in its competition which was released just a few weeks ahead in a preemptive move by the Korean giant. iPhone 6 is also powered by the same processing chipset and has the same 8-megapixel iSight camera. However, the camera doesn’t have an OIS unit; it features digital stabilization. iPhone 6 will be released on the same date as iPhone 6 Plus and will start from $199 for the base 16GB variant. Current reports suggest that an unlocked iPhone 6 unit will start from $649 for the 16GB variant minus any taxes. Apple is quite late in the wearable category as a ton of other competition is already in the market. However, considering the amount of loyalty found for Apple, it was expected that the company will benefit from the belayed launch and will introduce some enticing features to kill the competition. Apple Keynote roundup has to focus on both the highs and lows of the event last night. While Apple did good to finally launch its Apple Watch, it didn’t make many of its fans happy with the entry. However, unlike other competitors, Apple is starting to release its Apple Watch in different sizes and colors making it suitable to a variety of consumer demands. So far, Moto 360 is the only smartwatch getting the most attention due to its beautiful design and customary looks. However, it made many a people upset too with a large dial size making it a mammoth presence on smaller wrists. Apple on the other hand has created its Apple Watch in two different sizes. The Apple Watch features custom-made mini OS with a unique approach the smaller form factor of the smartwatch. The highlight of the Watch though is not its size; it’s the unique way of handling the device that lets you do most of the work using a Digital Crown. Instead of using too much of touches to pan around the smartwatch and hog up the tiny real estate, Apple has designed this Crown which is actually a dial on the side of the wearable that lets you do most of the work by cycling it. Siri will also be there to help you move through your smartwatch. 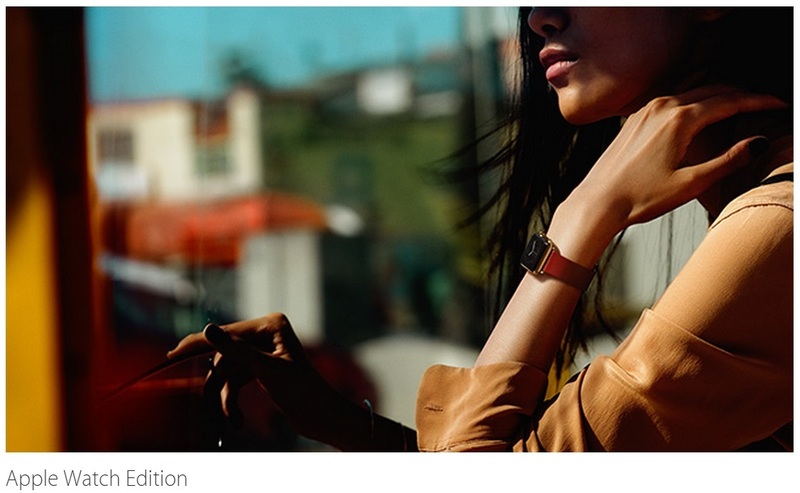 Apple Watch will start selling earlier in 2015 for $349. Apple Watch Sports and Watch Edition will have higher price tags. Apple is also opening up its new smartwatch to third-party app developers using the WatchKit SDK. 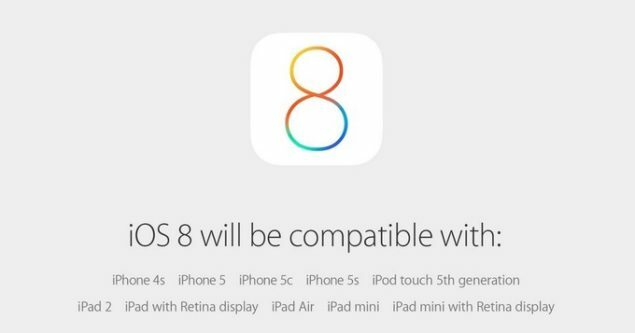 While iOS 8 was launched at WWDC 2014 keynote a few months back, Apple announced yesterday that it will release the OS to public on September 17. iOS 8 has seen a few beta builds released to developers and testers and carry major design improvements and new features. Improvements have been made to Notifications, Messages and Mail apps among others. iOS 8 also introduces its opening to third-party keyboards. Following the announcement, Apple also released its final iOS 8 Golden Master build to developers. We suffered from bad live streaming yesterday but we certainly don’t want to have you suffer through the same. While you may sift through tens of different videos to find the best one, here is the Apple Keynote roundup video giving you excerpt from the live Apple event last night. Don’t forget to let us know what is the best you found of all three major announcements of yesterday. Would you like to go for the Plus instead of the already strong Android phablet market?